The story of the C.G. Conn trombone ultimately begins in 1875 with the vision and determination of one man: Colonel C.G. Conn. Founding a band instrument manufacturing company in the small town of Elkhart, Indiana, C.G. Conn quickly became known for his innovative brass designs and became the largest producer of trombones in the United States and earned the lasting reputation as "America's trombone house." C.G. 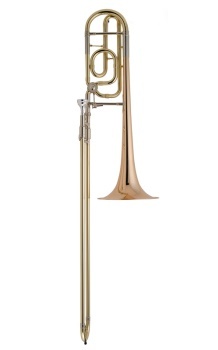 Conn trombones are recognized for their unique tone color and refusal to "break up" even at the most extreme dynamics making it one of the most widely used professional symphonic trombones in the world.